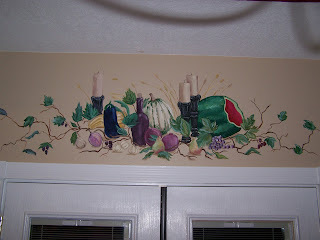 Eva painted this fruit mural for a client last year. 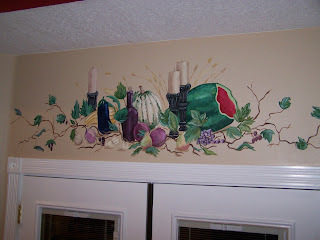 The client had fruit painted over her door before that was very similar to this one but she was remodeling and so she needed to paint over her old one. So she asked Eva to paint new one to replace her old one. When Eva was finished with it the client said she thought Eva's painting looked much better than the one that was there before.